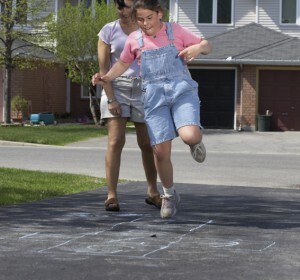 abcteach blog » Blog Archive » Get Out, Get Active, Stay Healthy! Get Out, Get Active, Stay Healthy! 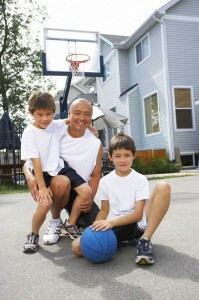 Did you know that May is National Physical Fitness and Sports Month? That’s right! What better way to kick-off the summer season than by enjoying the great outdoors, playing with friends and family, and eating healthy. National Physical Fitness and Sports Month was created to increase awareness about the importance of being physically active and adopting healthy lifestyles. All of us, young and old, need to “move it.” Even if you are not a sports-enthusiast, you can still enjoy a healthy, active lifestyle. There are many organizations in our communities that provide instruction should you want to learn a new sport or participate in an activity with your family. 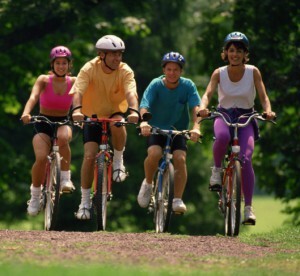 Classes and sports leagues are great fun, but staying active doesn’t mean making special trips. Physical fitness starts at home. Go for a walk, ride a bike, take a hike – or buy a hula-hoop! Shoot baskets in the driveway, roller-skate in the neighborhood, or dance in your living room. When is the last time you twirled a jump rope, or for that matter, jumped over a rope? Let your “inner-child” run free. This month, challenge yourself and/or your family to a 30-60 minute activity that makes you happy and gets you off the couch, out the door, and physically active. Play miniature golf, hit a tennis ball off the garage, or have a game of badminton or bocce in the backyard. Try something different! Think about the activities you used to participate in as a child and how they made you smile. Activities that make us happy are the ones we will do over and over again. Looking for lesson plan materials? Visit abcteach for fun worksheets and activity ideas to use at home and in the class. Filed under: Featured Section, General Comments Off on Get Out, Get Active, Stay Healthy!